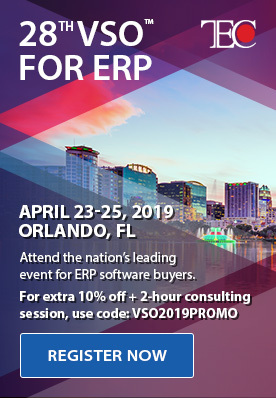 Dynamics 365 Business Centralhas become quite the invaluable tool and ideal solution for manufacturers, primarily because it signifies the addition of a powerhouse player into the Cloud Manufacturing ERP community. 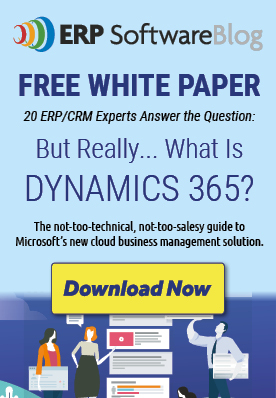 As much as the Dynamics 365 Business Edition was a fully-functional cloud deployment scheme of Microsoft’s elite AX product, Dynamics 365 Business Central represents the fully-functional cloud version of Microsoft Dynamics NAV. However, we here at Insight Works have seen our fair share of inconsistent statements made over the past few years about this product, and we want to set the record straight regarding what Business Central offers the manufacturing sector. Through the magic of Microsoft’s Dynamics 365 Business Central, you can grow beyond the limits of your basic accounting software. As an all-in-one business management solution that’s easy to use and adapt, Business Central helps you connect your business and make smarter decisions by providing an end-to-end view of your operations. Manage Their Financials – Compliance can be ensured while accelerating financial close and reporting with accuracy. Automate and Secure Their Supply Chain – Visibility across the entire supply chain can be increased with greater control over the purchasing process. Sell Smarter and Improve Customer Service – Revenue opportunities are maximized while customers are served better with built-in recommendations. Keep Projects on Time and on Budget – Budgets can be managed and progress of projects can be monitored with real-time data on available resources. Optimize Their Operations – Manufacturing and warehousing operations can be streamlined to deliver products on time with reduced costs. It’s this last point that brings us to the heart of this article. Have you been looking for an intuitive way to better manage your manufacturing operations? Has the demand of your growing business expanded to the point that you now require a streamlined, all-in-one solution to keep on top of warehousing activities? Dynamics 365 Business Central is your answer, offering a quote-to-ship all-encompassing process that we’re going to break down for your convenience. Creating a Quote – The first step many manufacturers take when using Business Central is to create a quote for their customers, which can be done quickly and easily from the program’s homepage. Sending a Quote – You can send that quote to your customer via email courtesy of a simple-to-use interface that enables email customization and the option to attach it as a PDF file. Creating an Order – An intuitive “Make an Order” clickable button converts your quote to an order, which can then be turned into a production order (PO) for manufacturing. Pulling Up the Work Order to Actually Work On It – Centralize planning through a Manufacturing Roll Center or launch the work order directly from the sales order, which is a great way for employees in the Sales and Customer Service divisions to see the status of an order in process. This step also includes opportunities to create and work on the Production Journal, which shows you the components and routing steps required for an order to be completed. Posting the Order/Sending the Invoice – The final step when using Business Central for manufacturing processes is to post the order and send the invoice, which in turn brings up different options for forwarding this to the customer. As experts in the area of professional industry ERP software, Insight Works offers warehouse and distribution solutions that reduce costs by increasing efficiency and accuracy to improve profitability. To learn more about how we’re implementing platforms like Dynamics 365 Business Central for a host of manufacturing clients, contact us today.